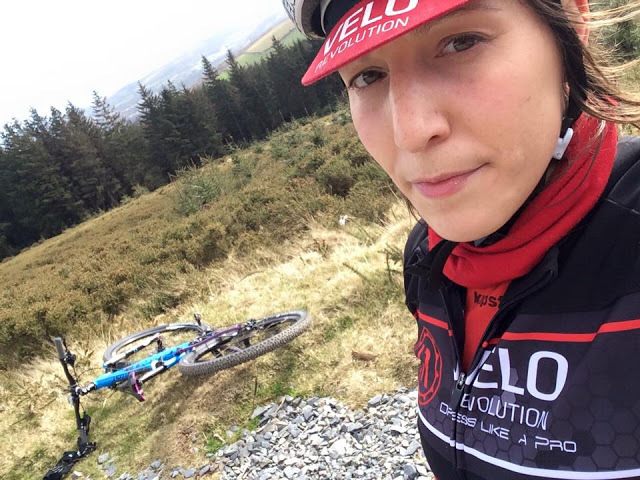 This week's cycling voice comes from a Frenchwoman based in Ireland, who has had the cycling bug for the last 11 years and shows no sign of stopping. She just needs a cat-sitter so she can go on that dream trip! "I have been cycling for 11 years. Back in 2005 I had just got back to Ireland, after living in Canada for a few years where I had packed on a bit too much weight. At that time my scene was live music, guitars and late nights. So I bought a crap bike and started commuting to work to get me moving. A few months later I bought a road bike and joined women's introductory rides with Orwell Wheelers, in Dublin. They wanted to get more women cycling and racing in the old Boot Inn local league. Since then I have tried everything in cycling from BMX to Downhill, and my guitar is still sitting in its box. In fact I now have a good collection of bikes - a Specialized Amira road bike, Giant Lust mountain bike, Ridley X Fire cyclocross bike, and my trusted fixie, which is still my favourite. I have had it for 10 years and plastered it with millions of stickers. I use it to ride to work, train on it, and I have even taken it with me travelling a few times. Unfortunately I was hit by a car while on it, but luckily it survived. I have always done a bit of cycling, particularly since being raised in France, where you cannot escape from the love the country has for the sport. When we were kids me, my brother and the neighbours' kids used to wear the red polka dot plastic bags that "Champion" supermarket [sponsors of that jersey] would print during the Tour de France! Or we would cut the bits off the bags and stick them to our T-shirts when riding our bikes. Before I started cycling seriously 11 years ago, I thought cycling was a sport of gods. It was almost too good for a little 5 foot nothing (150cm) girl like me. There was no way I could ever do what I saw those super-humans do on TV during the Tour de France! I have met so many characters through cycling. It's been such an amazing ride (excuse the pun) I think cycle sport draws certain types of individuals that you would not meet anywhere else. It's like their (or my brain) must be wired differently from ordinary people's! 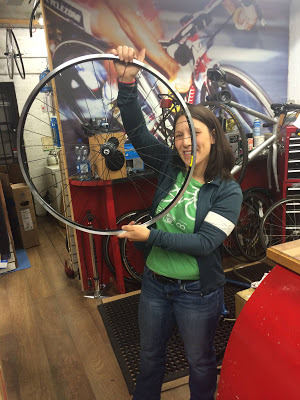 When I was between jobs, as a way of keeping busy, I got my local bike shop to teach me wheel building, which was quite an experience. Cycling always manages to suit any mood I'm in. I'm happy: I ride; I'm fed up: I ride; I’m sad: I ride. It’s my alcohol. 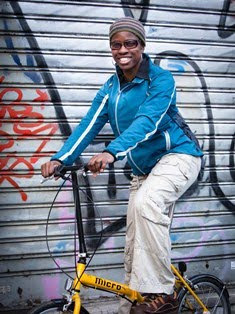 I can cycle on my own, or with others when I feel like mingling a bit. My ideal cycle trip would be to ride from my home in Ireland to my home town in the Basque region of France, where my mum lives. I have always wanted to do this and have thought about doing so many times, but I have never had the courage to do it. My excuse is "Who will look after my cat?" The great thing about cycling is that you can ride at any time of the year, including winter. Six years ago when I was doing a lot of road and track racing I purchased a cyclocross bike, for the simple reason that I really hated riding indoors in winter on a turbo trainer. The funny thing is that it eventually drew me away from road and track racing, and now I do road riding just for fun, and I do cyclocross and mountain biking competitively. I actually love riding on my own (with Mr Garmin if that counts as someone! ), exploring the beautiful Irish countryside around Meath and Louth, my backyard, or further afield in Wicklow ("The garden of Ireland"). I am also happy to go cycling with my partner in crime, David, who got me into mountain biking, or with my buddies Emma and Laura. I never ride without my helmet. I have witnessed and have been involved in a few bad crashes on the track, on-road, and off-road, so I am a true believer in helmets. Over the last nine years I have been sharing my love for cycling with the world by working as a press officer for two years at the now defunct Union Cycliste Internationale (UCI) Tour of Ireland, and writing about road, track and cyclocross for the national press in Ireland. In 2015 I landed my dream job working for the UCI (the World governing body of cycling, covering the UCI Women's World Cup for their website that season. It felt very special, knowing that what I wrote was being read worldwide! Unfortunately, writing about bikes doesn't pay the bills and I had to start focusing on other work commitments. So for the past year, I have not done much writing. But I'm coming back to writing soon, and look forward to being involved in an new exciting project."